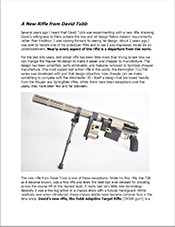 "I have a goal to share my knowledge with other shooters. 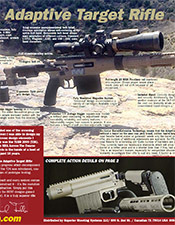 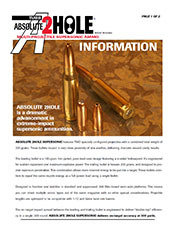 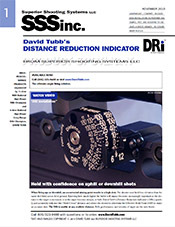 I hope that some of these materials might help you get where you want to go as a shooter a little faster and easier." 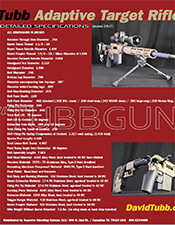 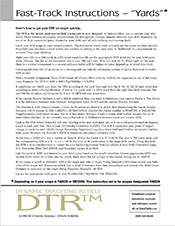 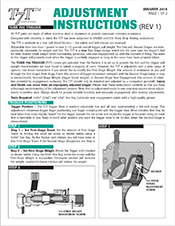 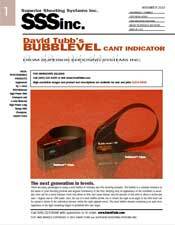 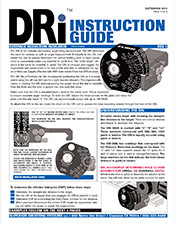 Click on any link below to download information, instructions, and specifications. 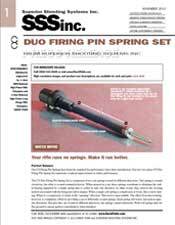 The revolutionary new Duo Firing Pin Spring. 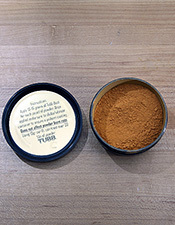 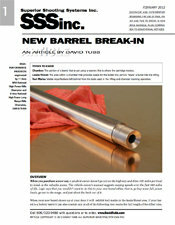 Newly updated (February 2012) from previous materials, this article explains David Tubb's beliefs and process for breaking in both factory and handlapped barrels. 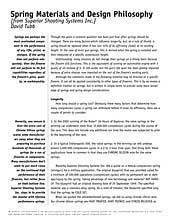 Methods are compared and the procedure is outlined. 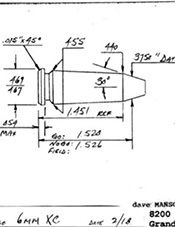 This is about how firearms springs work, or should work, and you will learn a good deal from it. 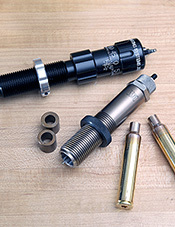 Choosing optimal hammer and striker firing system components. 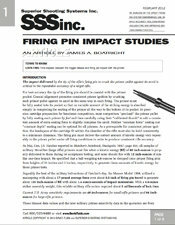 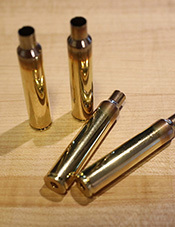 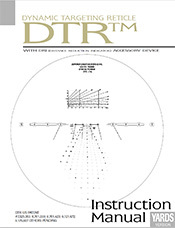 An in-depth look at primer ignition, firing pin design and accuracy, by James A. Boatright.